Scientists have identified several cannabinoid compounds that could potentially treat colorectal cancer . Don’t forget about your teeth when you start considering 2018 insurance needs later this fall. The annual sign-up window for many types of health insurance also is a good time to think about dental coverage. Many employers offer a chance to sign up for it during their open enrollment period for benefits. Dental protection also can be purchased with private Medicare Advantage coverage or through the Affordable Care Act’s public marketplaces. There’s a big market for it. 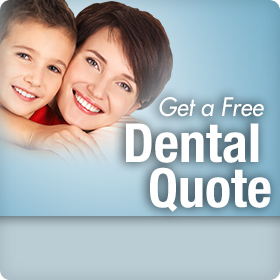 About 74 million Americans have no dental coverage, according to the National Association of Dental Plans. That’s around 23 percent of the population, or more than double the percentage that lacks health insurance. Shoppers also cannot use tax credits to help pay for most adult dental coverage sold on the ACA’s marketplaces or exchanges. You won’t have to pay for preventive care like teeth cleanings. Your insurer also will grab the bill for the occasional X-ray. Coverage tends to shrink from there. Coverage for a kid’s braces also may be limited to a maximum lifetime payment of $1,000 per person, depending on the plan. Dental coverage is designed to encourage people to get regular care that keeps tooth decayand other costly problems from developing. “The idea is you pay more out of pocket if you let things go south,” said Evelyn Ireland, executive director of the National Association of Dental Plans. The dental plans association estimates that more than 90 percent of patients do not hit their plan’s annual maximum. However, research suggests that some people start avoiding care before they reach their plan’s limits due to the costs they face even with coverage, said Marko Vujicic, chief economist for the American Dental Association’s Health Policy Institute. Consider how your projected expenses compare with the monthly premium you’d pay for coverage and whether you have the resources to handle an unexpected bill of $1,000 or more. Monthly premiums can top $50 for a family plan, which is much less than a typical health premium. Your employer likely will pay some of that for any plan purchased through work.